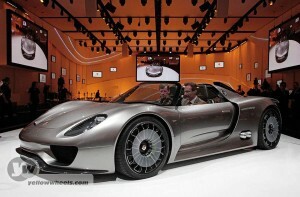 The Porsche concept car is their interpretation of a hybrid sportscar. Nominally retro and recalling the famous racing car of the same number, it’s purpose in life is to give us Porsche performance with outstanding CO2 output and fuel efficiency. Claiming 70 grams CO2 per kilometre and fuel consumption to 3.0 litres/100 kilometres (94 mpg imp, this mid-engined two-seater combines the performance of a super-sports car with the CO2 emissions of a small compact. 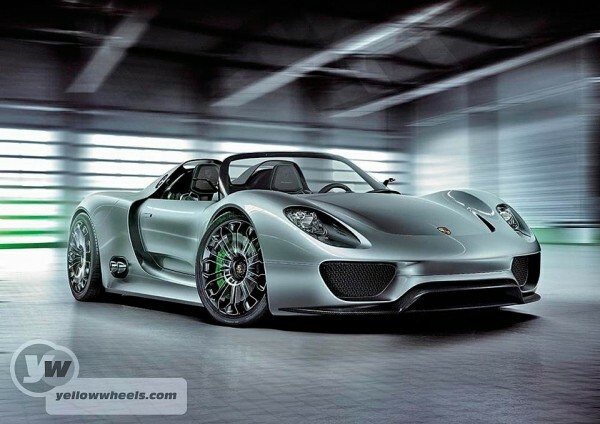 Porsche also claim that by combining both power sources they can eqaul the output of a V8! More tomorrow…. Hybrid Technology is one of the best technology develop now a days in automobile world & doing grate. Hybrid cars are considered to be alternatives to standard fuels because they can run on either a gas engine or be powered by the rechargeable energy storage system. I would like to stay upgrade with this technology, so keep posting…..! !